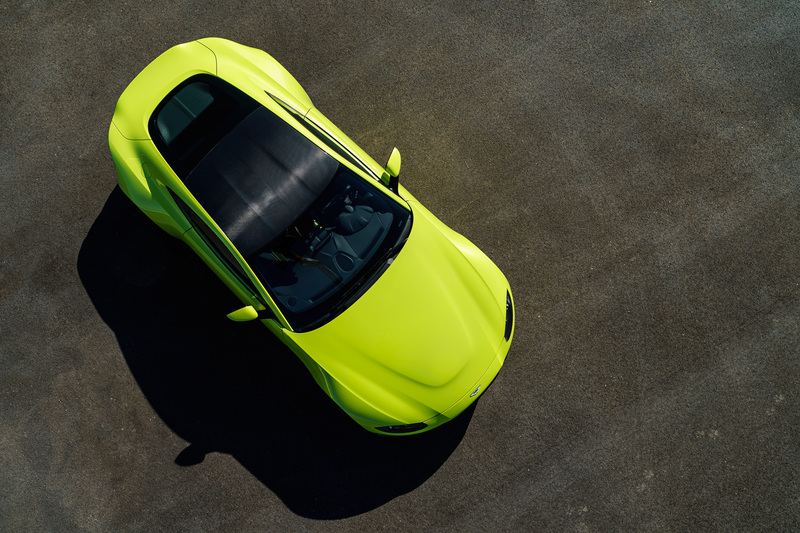 It’s been a long time coming with plenty of teasers this year, but Aston Martin has finally unveiled the latest generation of their sports car – the Vantage. 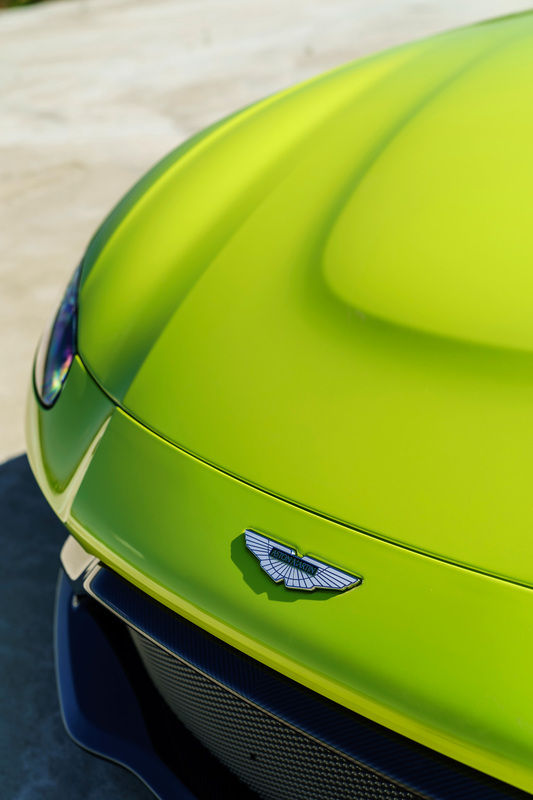 The British carmaker has recently been infused with fresh management and cash flow, bringing forward an ambitious plan to deliver SEVEN new models by 2021. 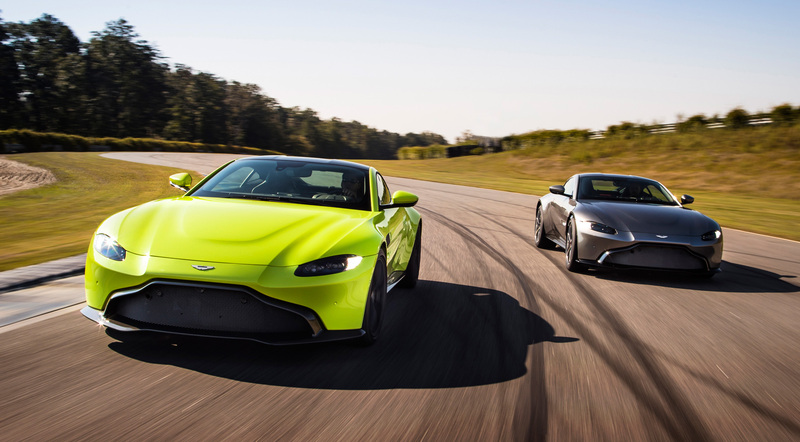 The first of these was the DB11, this new Vantage is the second which will be followed by a new Vanquish, a DBX, a spanking-new mid-engined supercar, the Lagonda 1 and finally the Lagonda 2. All in that order. 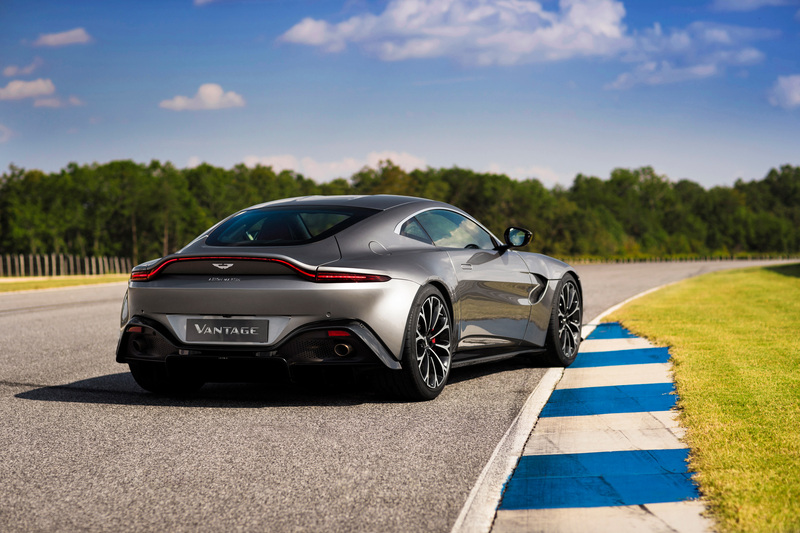 That’s a pretty busy 4 years for the manufacturer while also being rumoured to join Formula One as an engine supplier when the new engine regulations for the 2021 season get finalised. 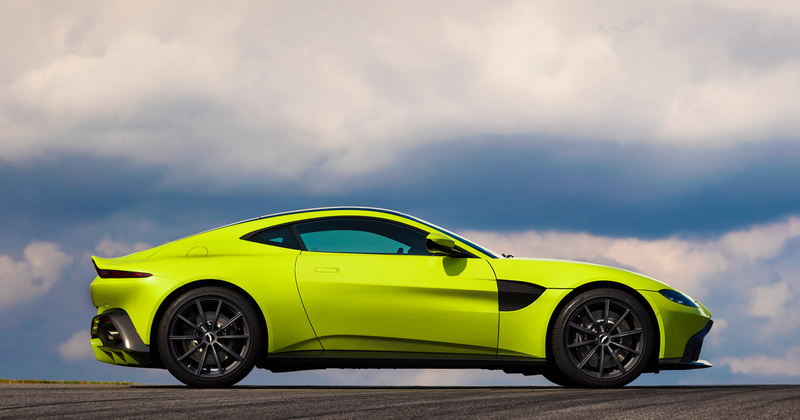 But the star of the moment is the brand new Vantage, more exciting than ever in looks and driving experience. 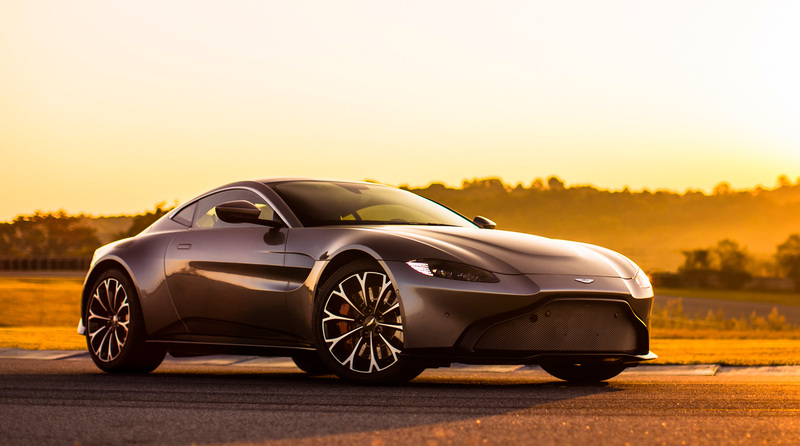 It features a low front end grill reminiscent of the DB10 and the Vulcan, the lowest production spec front end from Aston yet. 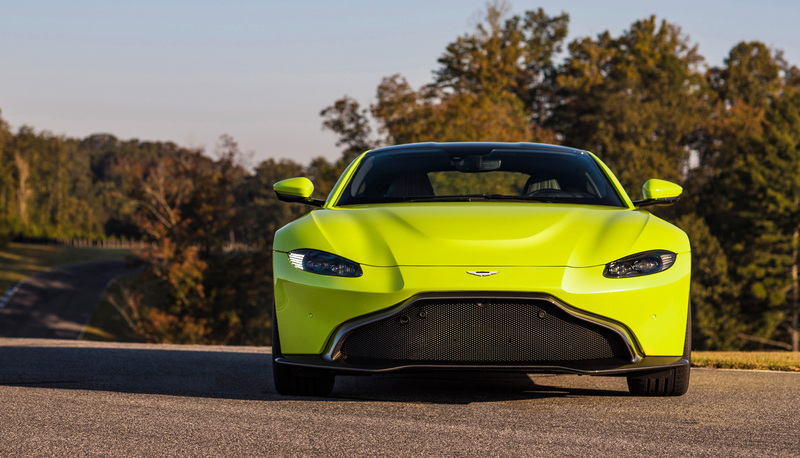 While it is based on the new DB11, but crucially the new Vantage is notably distinct. 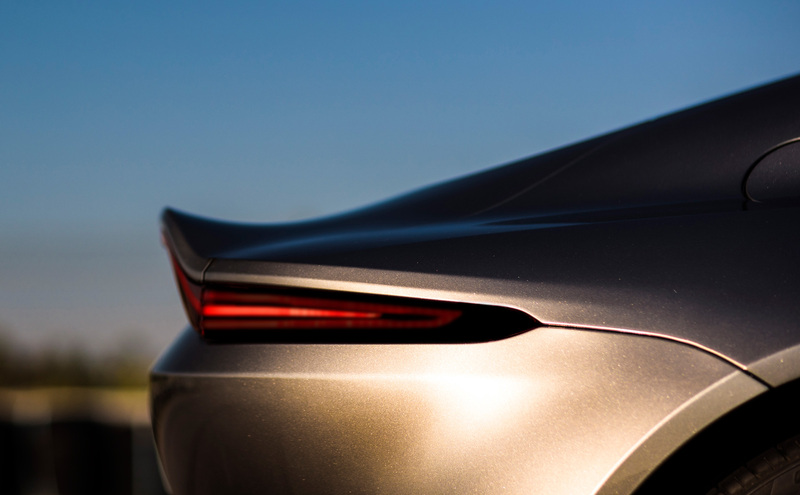 It has a well-defined line running along the entire profile of the car’s muscular haunches. 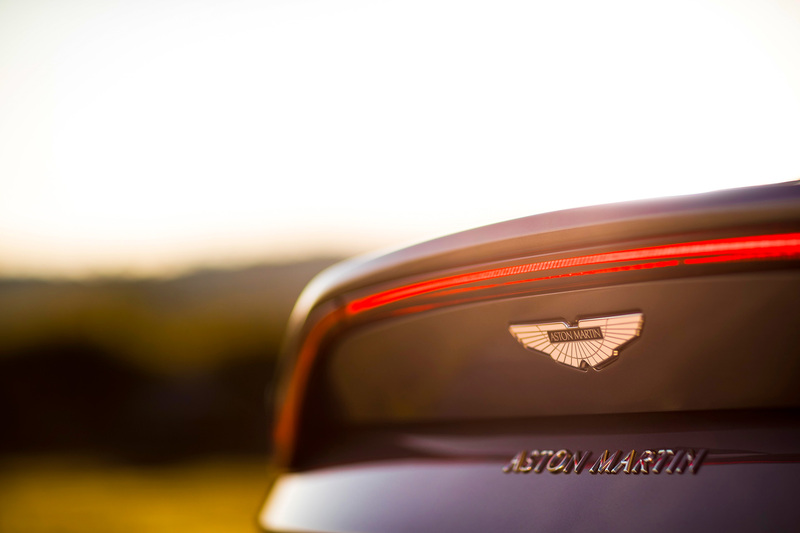 Reaching the rear of the Vantage, you’ll see the stunning new 5-piece taillights which go along the spoiler of the decklid and actually mimic the design line of the diffuser below. Underneath that low front hood lies an AMG sourced but Aston-tuned twin-turbo 4.0-litre engine that produces an impressive 503 bhp and 685Nm of max torque. The engine is mounted behind the front axle for the 50:50 weight distribution and is paired with a rear-mounted 8-speed ZF gearbox. 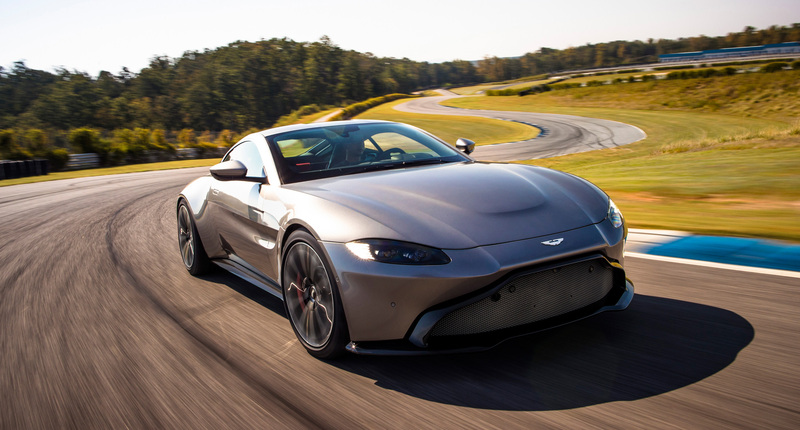 The performance figures are nearing supercar territory – 0-100 kph in 3.6 seconds and a top speed of 314 kph, running on 20-inch wheels wearing Pirelli P Zero rubber. 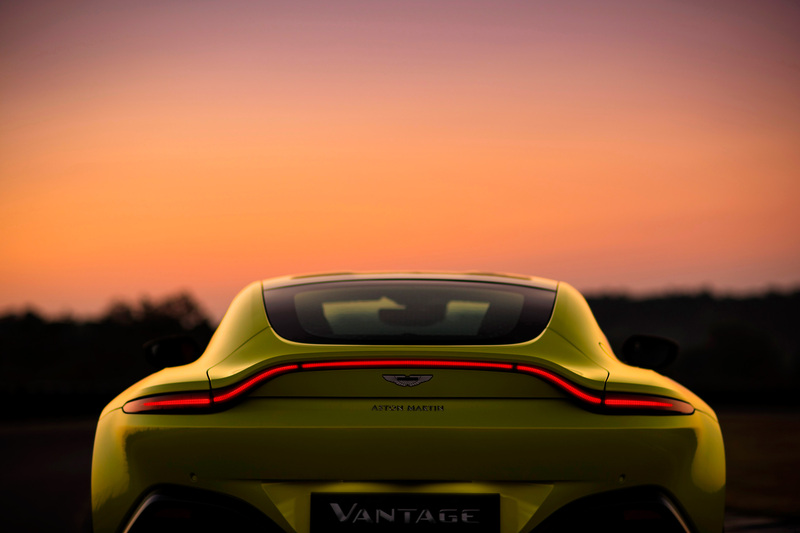 There are a lot of subtle but significant aerodynamic elements to the new Vantage to make for a superb driving experience. The engine has been positioned as low as possible for a lower centre of gravity and improved weight distribution. 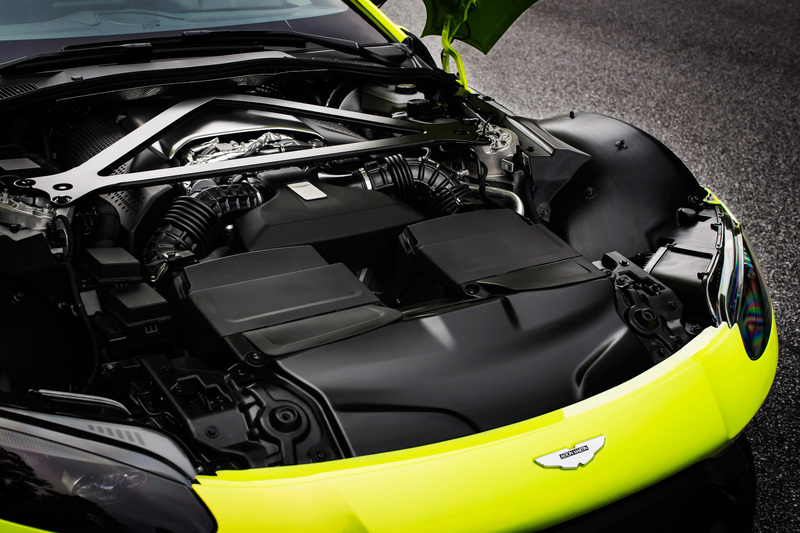 The front splitter directs airflow under the car where an arrangement of fences channel the cooling air where it is needed and ensures that the rear-diffuser gets clean air. The diffuser is designed to create an area of low-pressure air while also dealing with the turbulent air generated by the rear wheels. 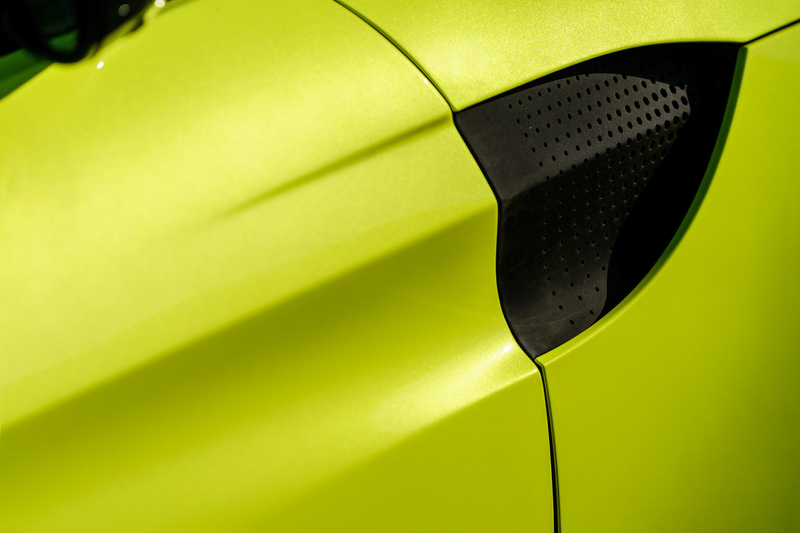 The Vantage also has new gills behind the front wheel arches for directing airflow and turbulent air. 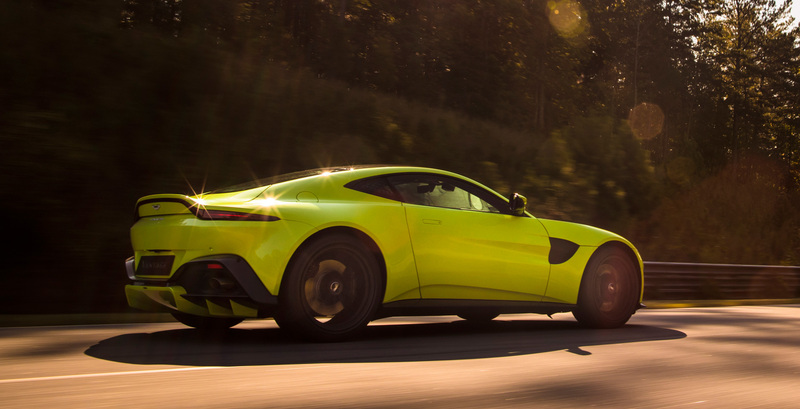 For the first time, Aston Martin has fitted a production model with an electronic differential while also equipping the all-new Vantage with dynamic torque vectoring. 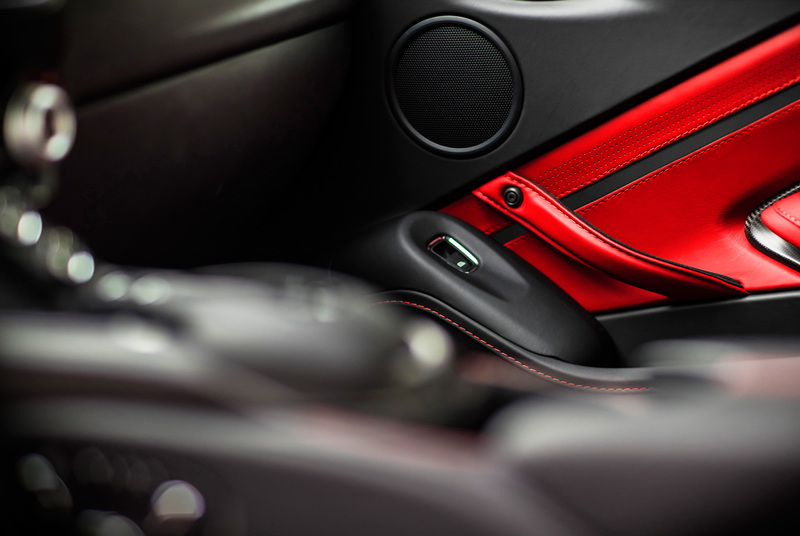 It also features an Adaptive Damping System with three settings – Sport, Sport Plus and Track. There are also plenty of carbon-fibre options available to spec. Once inside the swan style doors, you’d spot a few similarities with the DB11 here as well, like the triple digital display though housed in a new cluster design. 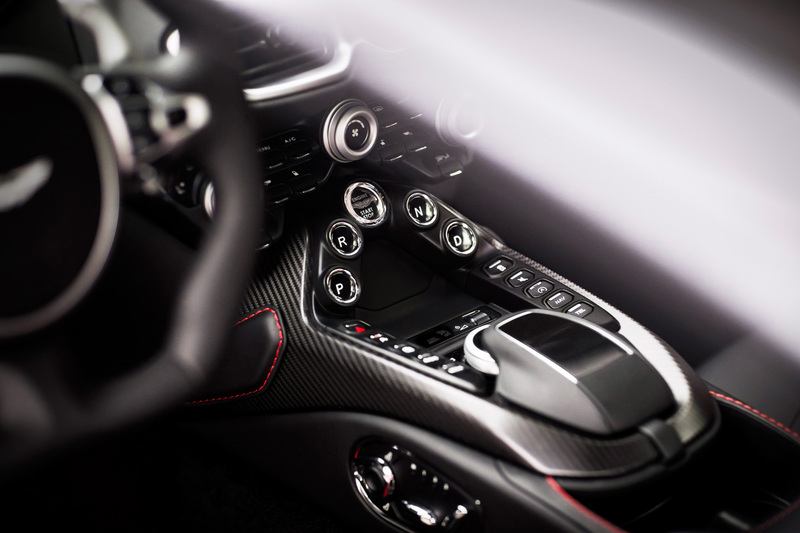 The central console tunnel is peppered with buttons, though aesthetically arranged with dials in metal finish. The leather and the other materials are well tailored and plush. 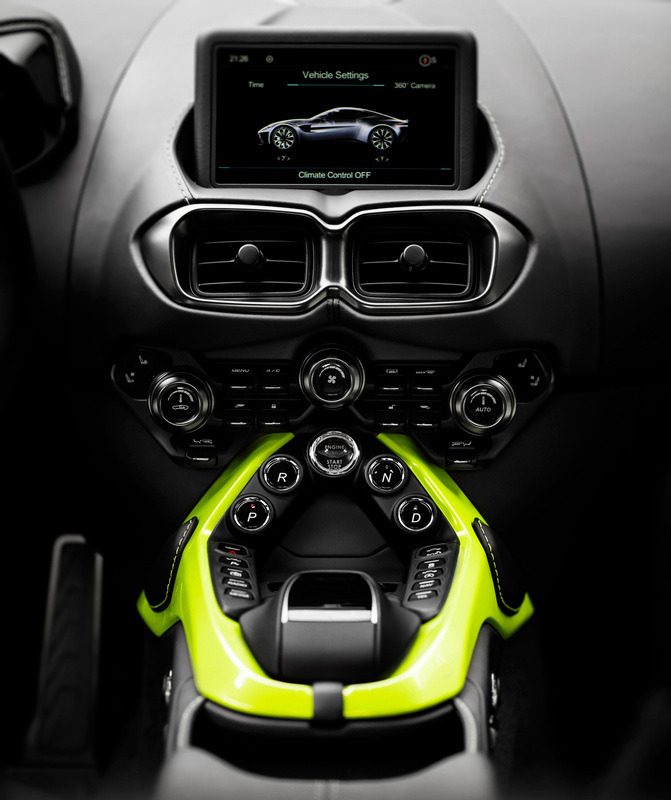 Some of the onboard tech is also borrowed from previous-gen Mercedes though customized for Aston, like the centrally mounted 8-inch LCD screen with the Aston Martin Audio System and integrated satnav. 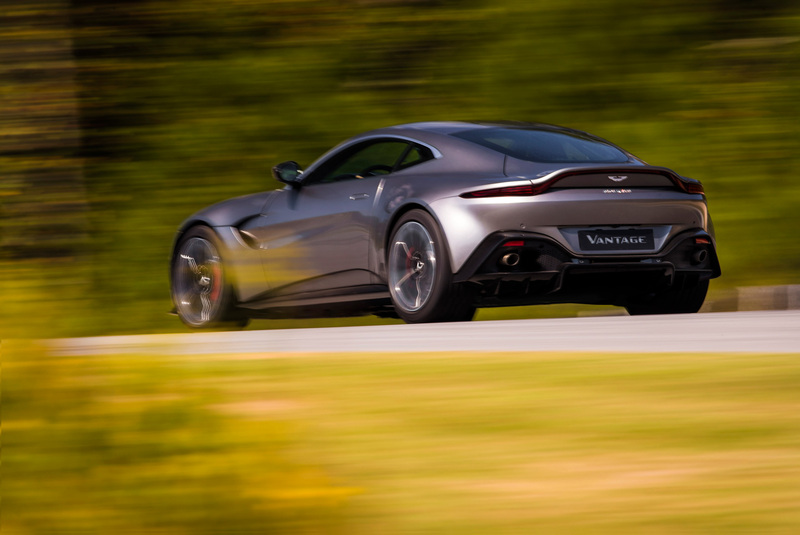 There are a few different packs available for speccing the Vantage but in general, this 2-seater has enough creature comforts and luggage specs to make for a sporty grand tourer. 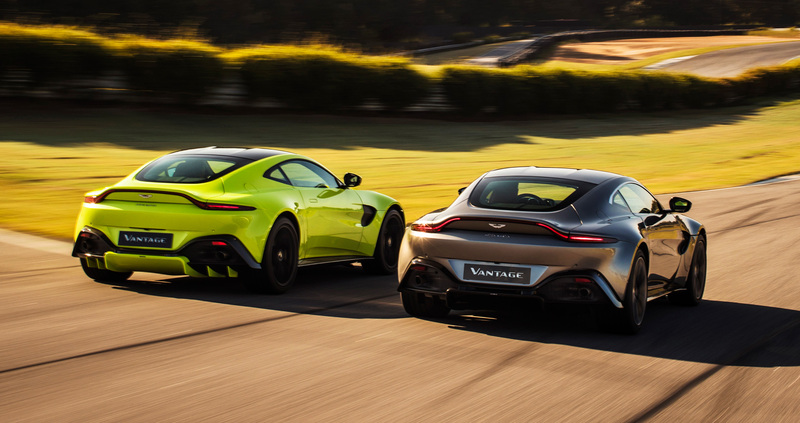 The all-new Aston Martin sportscar is shorter than it appears, measuring in at 4465mm long, sitting on a 2704mm long wheelbase and is suitably low at a height of 1273mm. If you select all the lightweight options it has a dry weight of 1530 kg and a fuel tank capacity of 73 litres. 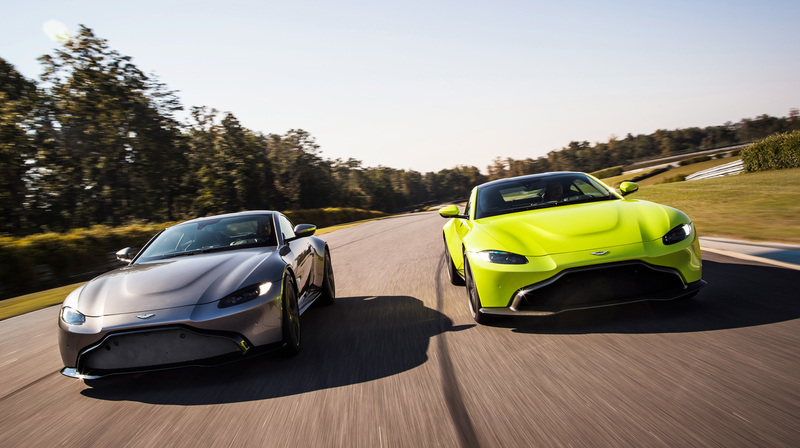 “A true sports car with a sharper look and a keener dynamic edge, the new Vantage is the Aston Martin pure driving machine enthusiasts have been waiting for.” he added. 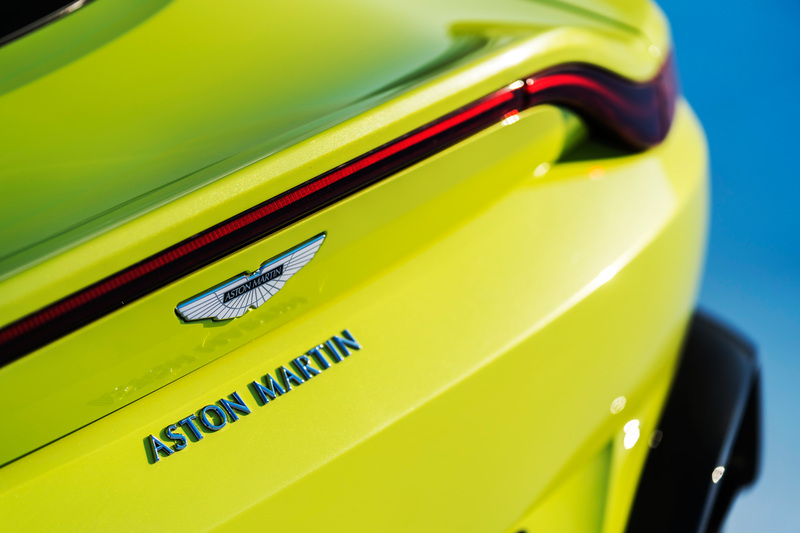 The new Vantage has already been kitted and prepped for the 2018 Le Mans season by Astom Martin Racing (AMR), so stay tuned for more information on that.